Which of the following do you think is worse? A) Emailing a top secret attachment to the wrong person, or B) constantly obsessing over the radio silence? Veronica Mars says it best. When it comes to the internet, it’s impossible to delete a digital file with any kind of certainty. 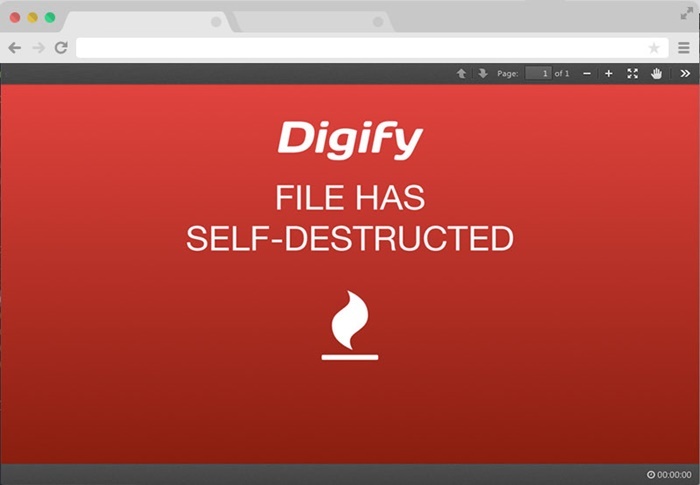 Hence, it is a relief to know that we can depend on several cool features such as Digify’s popular self-destruct timer to get rid our important documents. “When people sent attachments in the past, they were releasing their content out there forever. 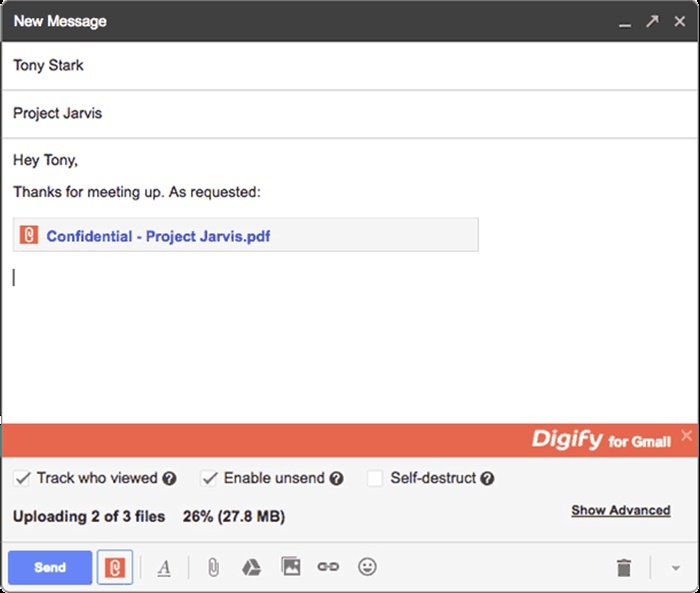 Digify for Gmail lets the sender stay in control of their attachments, by keeping them informed on what’s happening to their content. 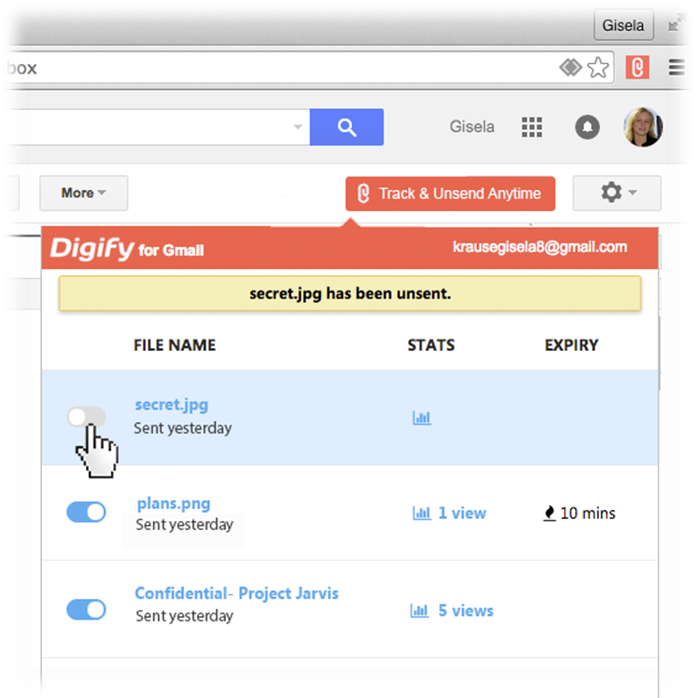 It also gives them the freedom to unsend files anytime if they are sent by mistake,” said Augustine Lim, Founder and CEO of Digify. 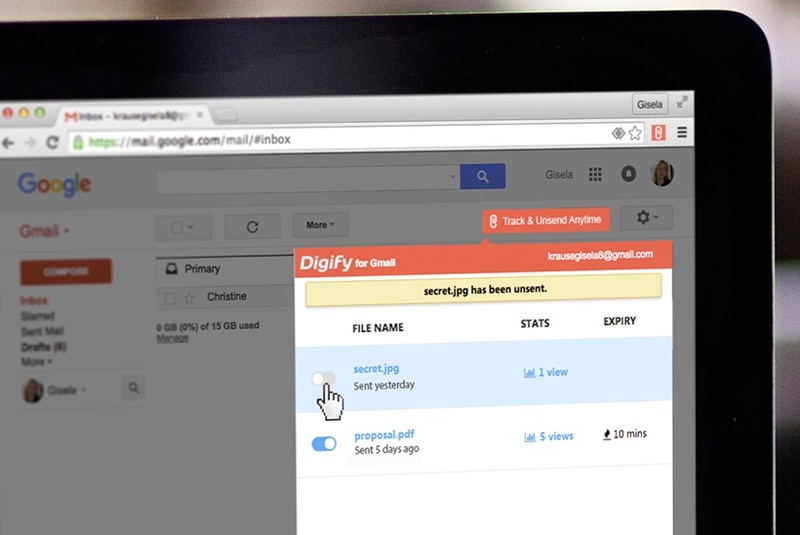 Digify’s app goes beyond Gmail’s 30-second unsendability window. Users have the option to unsend attachments anytime they want- even after sending the email or when the file is opened by the recipient. But what truly takes the cake is the file tracking statistics, a feature that sales and marketing professionals will no doubt find beneficial in their line of work. Dubbed as the “Mission Impossible app”, users will know if their email attachments are opened, if the recipient reading them, and the number of times the files are accessed. Not only that, the Chrome extension will also drop an email and mobile notification to the sender when the file is opened. The stats and amount of time spent reading the attachments help the sender determine the activity, such as their level of interest in the content. The sender will also receive further information on the statistics when the attachment is forwarded to other recipients. If the file is sent to the wrong person, the sender can unsend it. In other words, the sender still has total control. Tracking, unsend and self-destruct options are available for free. Paid users have access to Digify’s advanced features like restricted forwarding, additional encryption, and stricter copy protection. With this “Snapchat for business content” app, everything is in the user’s hands. So guys, no more jokes about email attachments self-destructing in five seconds- because this time round, it’s gonna happen for real.